You Never Appreciate What You Have Till It Is Gone! You read about my misadventure with my slippers on Sunday at the concert. These were the pair that I lost. 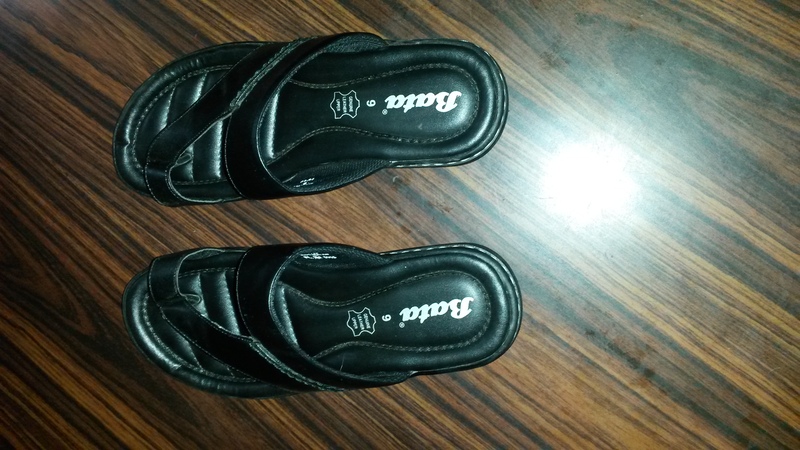 I went looking for exact replacements at two of Pune’s largest Bata shops and could not find one. I had to settle for a pair like this. Not quite what would have satisfied me but comfortable enough. This entry was posted in Blogging, Humor, Nostalgia, Raves and Rants and tagged Bata footwear, Toilet Paper. Bookmark the permalink. 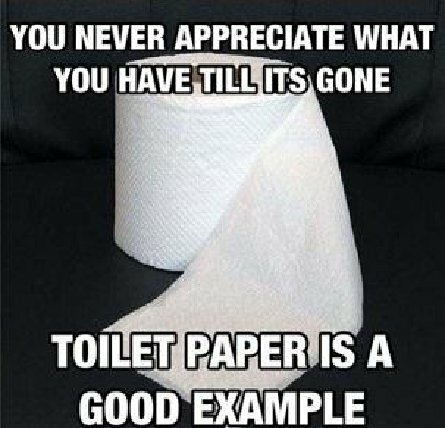 18 Responses to You Never Appreciate What You Have Till It Is Gone! The now lost pair of slippers/flip flops, look comfortable and it is no wonder they went missing. I am pleased you have found a new pair. Bringing a bag to keep your footwear in, is the answer! Yes. Trusting the crowd in even such high brow affairs is not advisable anymore! The lost flip flops / go aheads -You don’t walk backwards, are nicer. At India when we had to take our shoes off, I’d separate them so no one would be tempted. We did the same separating skis at lunch time on the down-hill ski slopes. That is another brilliant idea. Thank you. You would have had you tried them on! Does Bata still use .95 in their pricing? No. They don’t price anything with paise in it. I bought three items during my outing and each was priced as follows, 999.00, 199.00 and 69.00. Old wine in new bottle! You have my sympathy! I hope you learn to love the new ones too. Oh, I will. A matter of time. It is just that old footwear become so comfortable that I blew my stack. I’ve lost flip flops at the beach that way, when I’ve left them at the end of the boardwalk. Now I only take really inexpensive ones. Secret Agent Woman recently posted..Back to the fun. Expensive or inexpensive, walking barefoot till one is in some kind of transport can be icky! they were like old friends. felt perfect on your feet no doubt. i wear sandals pretty much year round. in winter i have heavier styled ones that i wear with socks! i have one pair of sandals i wear if i want to look a little dressier. but mostly i just live in a beautiful strong pair of blue op flip flops! so cool! i love them. i’d blow my stack too if somebody took them! my feet are happy and so am i. i hope you can feel at home in these new ones soon. I have begun to break them in and before long, I should be as comfortable in them as I was with the old ones. Unlike you, I use different footwear for different occasions and I am comfortable in all of them. I make it a point to go in the evenings when the feet are at their largest, to pick the right size and fit and take my time selecting one. Back when I was in college, we used to ( by necessity ) mix slippers so the left might be an old one and the right might be some other old one so they never matched but functioned well — funny that such slippers were never taken by others — an old trick that might work but may not be fashionable ! A very interesting solution indeed! Have you ever thought of putting a short chain with a combination lock through them? Or the plastic ties they use to tie up airplane passengers who act up and carry a pair of small rounded children’s scissors to open them, Or get a beautiful shoe bag half price at an airport dutyfree. Or do as an orgainist girlfriend of mine-who has to have special shoes for the pedals-does and carry them in a briefcase. I rarely wear slippers while going out and do so only when I know that I will have to take them off to enter wherever I go. Those places are all safe places and this experience has been a rather disappointingly singular exception.